The Mary D. Hume was a steamer built at Gold Beach, Oregon in 1881. It had a long career as a cargo ship, then a whaler in Alaska, then as a tug boat. 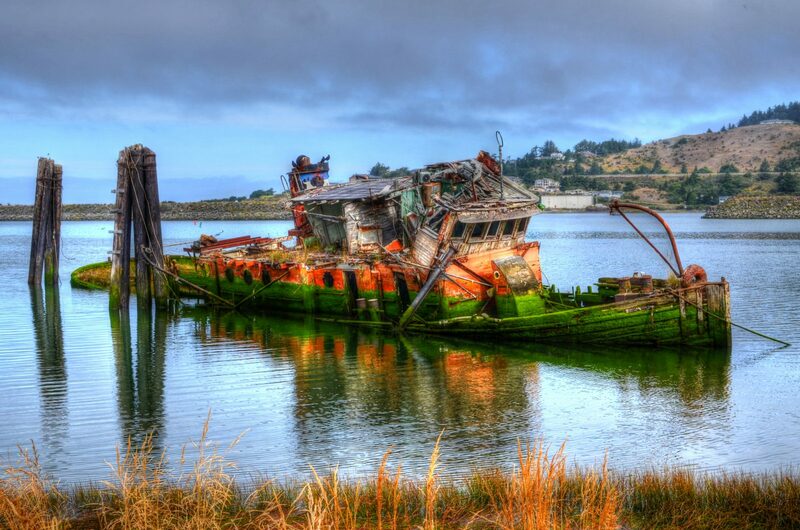 It sank in 1985 in the Rouge River outside of Gold Beach. This old ship has a lot of textures and colors and is well worth the stop if your in the area.